A few days ago it was announced by the Trek Factory Racing team that one of their most popular riders - Jens Voigt - earned his way onto the nine man team for the 2014 Tour de France. 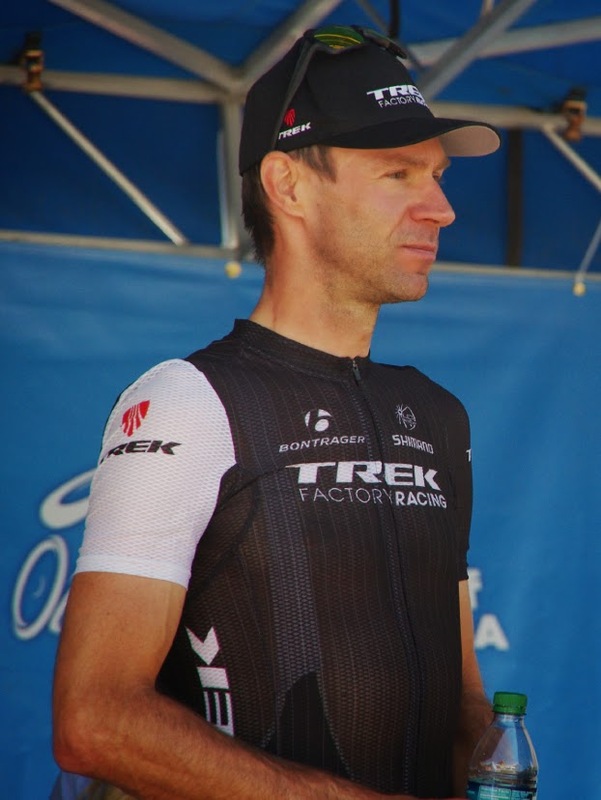 The Grand Tour begins on Saturday, July 5th and will mark Jens Voigt's 17th participation. A tremendous accomplishment when you consider that the Trek Factory team has 28 riders and only nine get to go to Le Tour every year, let alone every year for seventeen years! 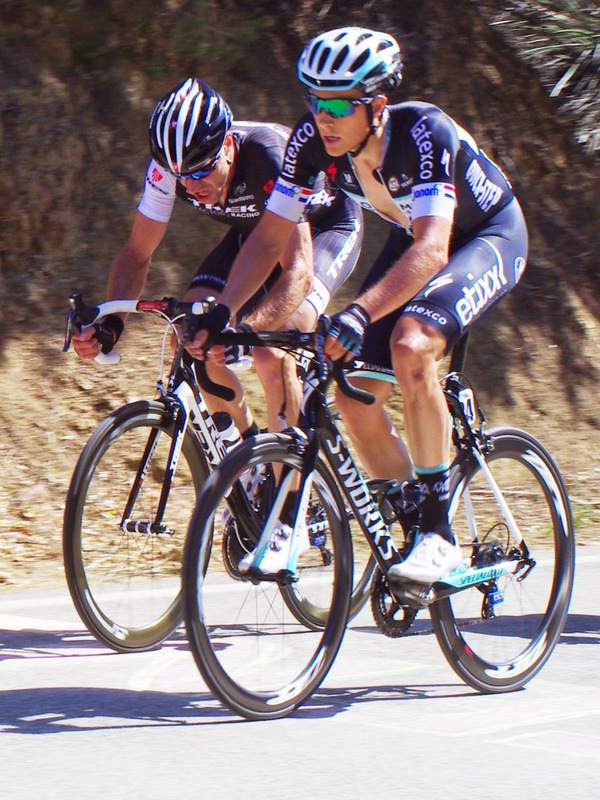 Being selected for the Tour de France is a highlight and yearly goal for many riders. Something they work hard to achieve. It is a dream, an honor, but every man knows he is expected to give his all for three-weeks. The payoff is big. Within this one race riders and teams stand to earn more than most races on the calendar for the year (besides paid personal appearance fees from other races and endorsements). The news that Jens will be racing in the 2014 Tour de France means guaranteed entertainment. There should be the unveiling of the celebratory 17th year Trek bike, perhaps a few good interviews with a new quotable phrase, the expected break away or memorable moments out on course, the final solute into Paris, and plenty of fans opportunities to get that one last Jens Voigt signature during big #17. Read: One Last Summer Vacation in France! Jens gets selected to start his 17th Tour de France, by Jens Voigt for Bicycling Magazine. "You know I calculated it the other day. I will have done nearly 340 days of racing in the Tour de France." Jens Voigt has raced in every Tour de France since 1998, he won two stages in 2001 and 2006. He won one stage of the Giro d'Italia in 2008. He is a rouleur and break away specialist, German, age 42, 6'3', 170 lbs, a husband, and father of six! I am personally not expecting a GC miracle from the Trek team, but their riders will be interesting to watch, especially Cancellara, Van Poppel, Busche, Voigt and the hard-working domestiques. 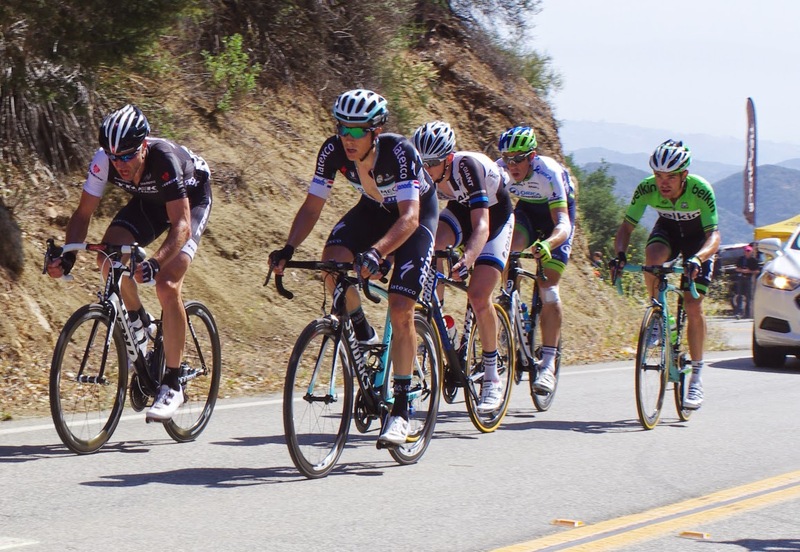 It was the final stage of the Amgen Tour of California in Westlake Village, I had just left the sign-in stage area and walked closer to the media car I planned to board for transport out to the KOM climb on course. The media cars typically depart ahead of the peloton to place photographers along the route. I was having fun using my final minutes pre-race by directing the riders back to their buses after sign-in. Many had ridden in from their hotels and were unsure of the start village layout. Directing the riders at ATOC, Hi Bradley, Hi Mark! Honestly it was pinch-me is this real exciting and yet felt so comfortable. "Bradley, you'll want to go this way," "Mark take a left up the hill, then right." All smiles and in my element, suddenly Jens Voigt rolls up on his bike. By now the race start is within ten minutes and the start line about 20 meters away. "Hey Jens, what are you doing, are you looking for another cookie?" I say sort of jokingly, but suddenly Jens stops his bike and says in his thick German accent, "Um ya I am looking for Kim, she said to meet her at the VIP area, she has a special sweet for me." I laughed along with Pez Photographer Darrell Parks who was standing nearby. Are you kidding me, I thought, minutes from race start and Jens is once again tooling around satisfying his sweet tooth! 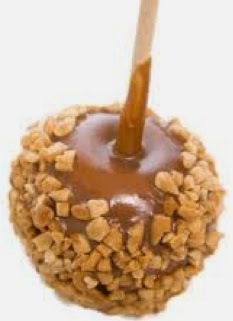 Shortly there after, out pops Kim from a nearby VIP car, holding a packaged caramel apple covered in nuts, and hands it to Jens. He grins from ear to ear. I am telling you, if you could see the joy this man gets from sweets. Jens holds the apple in his hands as if it is gold. "Ooooooh, maybe I should save this for later when I can enjoy it," he says. This was not a question, this was Jens planning out loud. Which means I could not reply, "Ya, cuz' that race thing is approaching fast." Off he rode showing tremendous bike handling skills while holding his trademark pre-race coffee in one hand and the caramel apple in the other. Jens Voigt has been a professional cyclist since 1997, if there is anyone who knows how to make his way around a bike race - it is Jens Voigt. 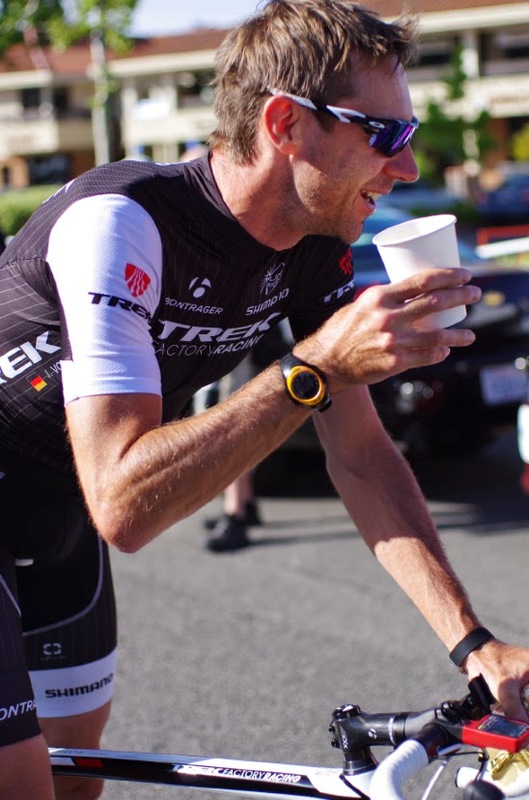 I am confident Jens found a team car before heading to the start line just in the nick of time, because later at the KOM marker no caramel apple was seen tucked inside Jensie's jersey pocket for the circuit laps of Stage 8, Tour of California 2014. This disciplined rider saved his prize for after the race. Fans have learned that Jens likes sweets and this package of cookies was a gift from a fan in California, 2012. For all the talk of suffering, pain, and old age, Jens Voigt certainly takes time for the sweet things in life. But first, he earns it. I think this is why Jens Voigt will forever be a fan fovorite - because he is real.